"its going down im backkkkkkkk"
THC - Vol.1 The Credentials SMOG CITY:The 1st Mixtape put together by Traphouse Coalition to regenerate a movement Downsouth in Birmingham,Alabama. what up fam, heres some info i thought u might be interested in. we can blast ya joints all over the blogs. we send ya joints out to over 3000 djs blogs and fans , get at us...hit us up at mp3blast@ymail.com its only 50 bux . we sent this joint out for one of our clients Nucci Reyo and he got a nice amount of downloads. stay up..
Just stoppin through to show some luv! 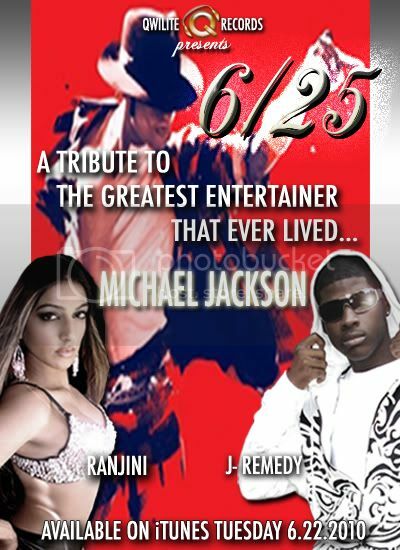 QwiLite Records remembers Michael Jackson in this unforgettable tribute performed by QwiLite's own "Indian Princess" Ranjini & break out R&B star J-Remedy! Keep the connect and add me as a friend!